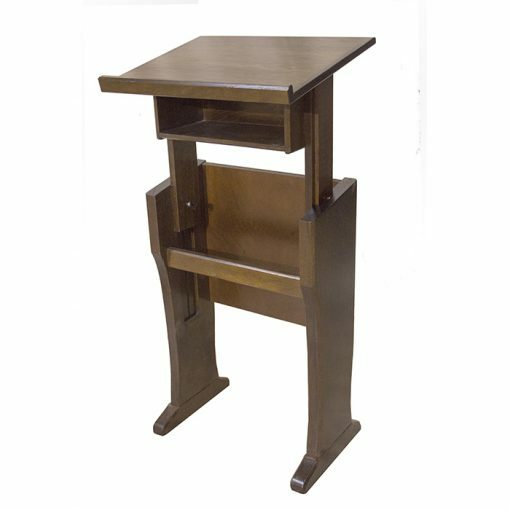 The adjustable height shtender can be easily adjusted from the sitting to the standing position and everywhere in between. 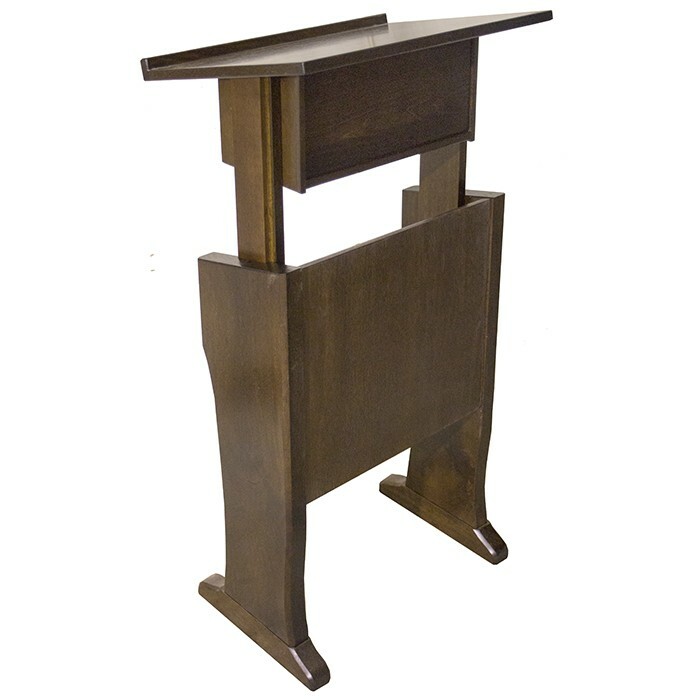 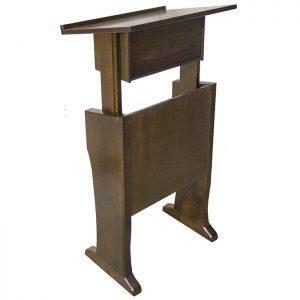 The unique design of this prayer stand allows for stable and strong locking in any position. 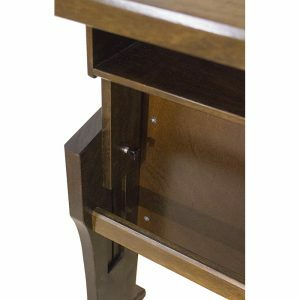 With a slight turn of the knobs the table top can be adjusted on the sliding dovetail joinery. 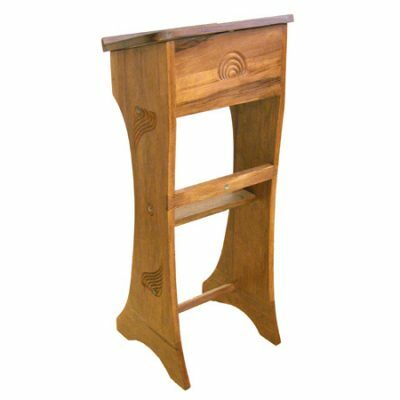 Bass Furniture builds these shtenders from African Walnut and quality hardware to ensure longevity. Books and papers can be stored in the shelf under the table. This shtender is available for sale and can be shipped within days. 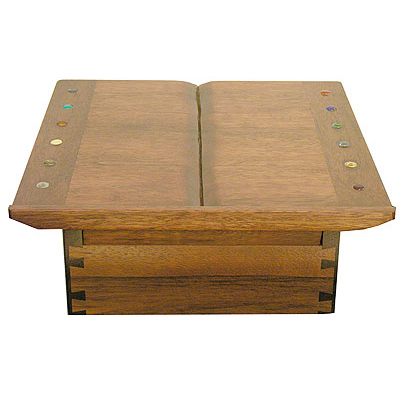 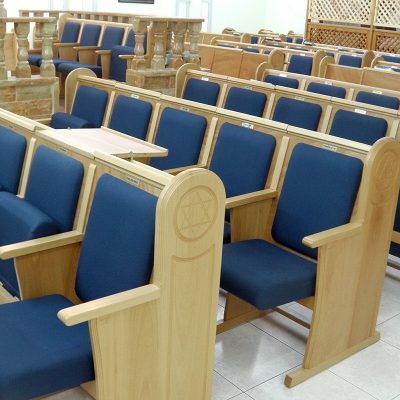 This amud tefillah can be ordered in any stain, including walnut, mahogany, and golden oak. 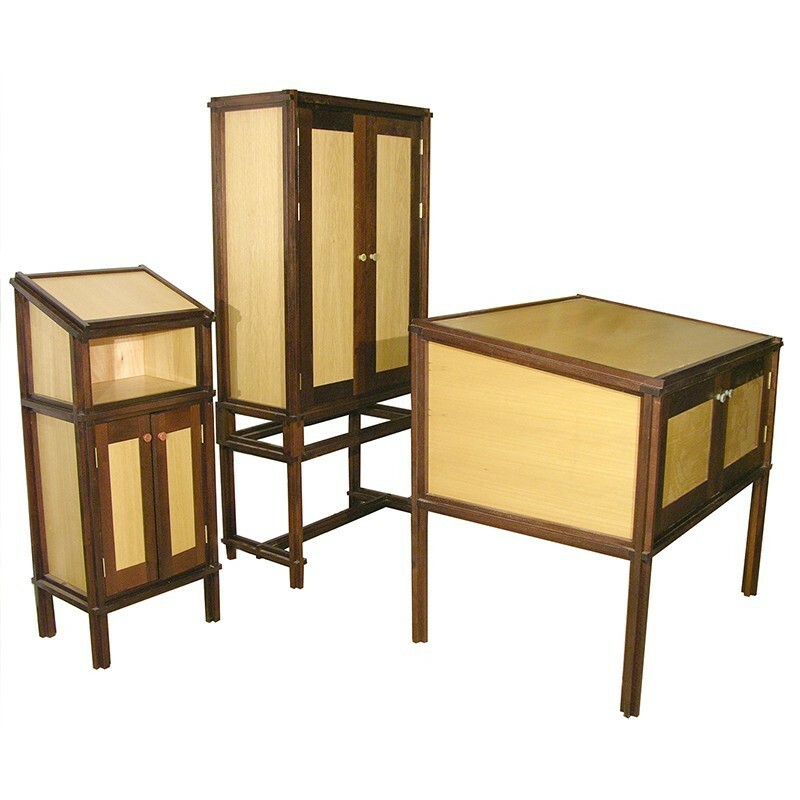 You can choose to add optional carving, pasukim, or engraving to the sides. 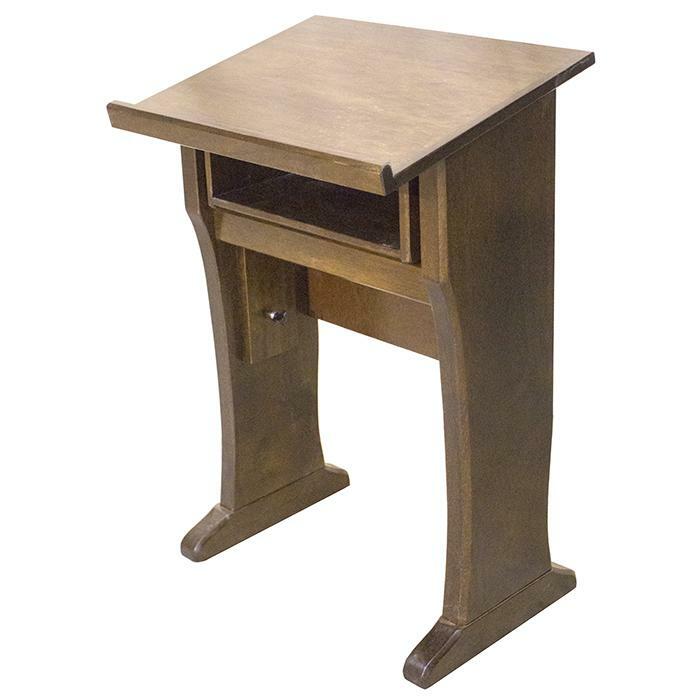 Search the website for carving options. 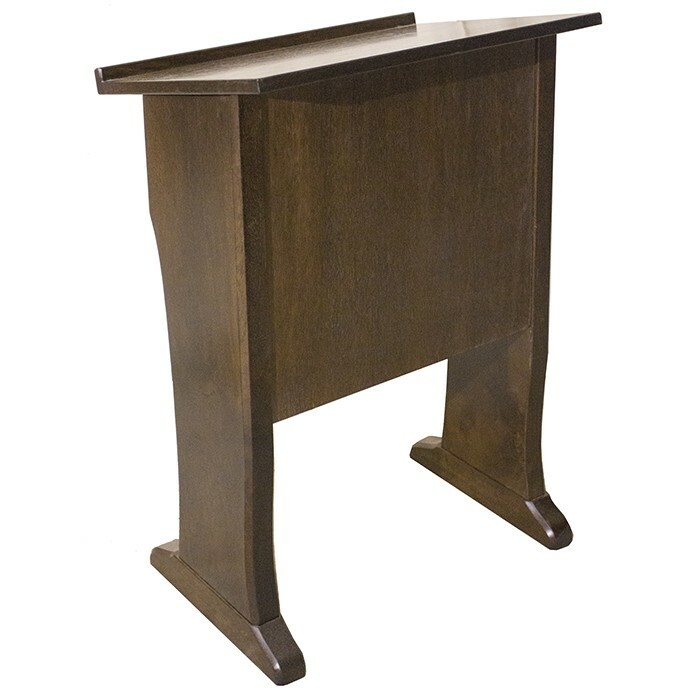 Other shtenders can be custom designed and built to suit your style, needs, and budget. Contact us today for more information about this product and custom options.